A new book, “The Achievable Dream: College Board Lessons on Creating Great Schools,” devotes an entire chapter to the Long Beach Unified School District. The chapter titled “A Perpetually Improving District” lauds the school district’s success in raising student achievement among all groups of students, including students from disadvantaged families. “Poverty need not be the sole predictor of destiny,” states the chapter on student achievement in LBUSD. The book praises Long Beach’s dedication to educational equity, comparing local elementary schools like Gant and Lafayette with one another. Despite significantly different demographics, with much more poverty among Lafayette families, students from both schools perform at high levels. “This is no quirk. 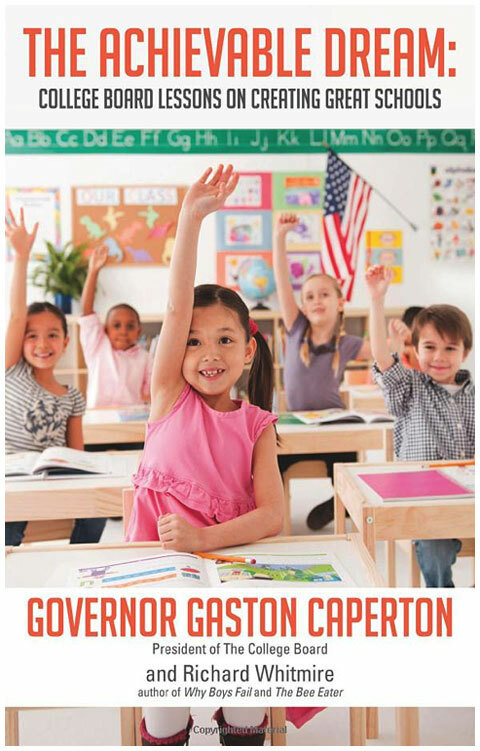 Long Beach is full of high-poverty schools rivaling schools in middle-class neighborhoods,” write authors Gaston Caperton and Richard Whitmire. Caperton is president of the College Board and served as two-term governor of West Virginia. Whitmire is a veteran newspaper reporter and former editorial writer at USA Today. His work continues to appear in that publication as well as the Washington Post and The Wall Street Journal. The book describes LBUSD’s successful MAP2D math curriculum and professional development program, including the “superior quality” of teaching staff here. Despite severe budget cuts, including teacher layoffs, schools like Stephens Middle School continue to see academic gains, in part because teacher training is systemic in LBUSD. Though layoffs have been difficult, “teachers sent in to plug holes prove to be effective from their first day,” the book states. In the case of MAP2D, success in elementary schools is now being replicated with similar techniques in the middle grades at schools like Stephens. The book includes interviews with LBUSD Superintendent Christopher J. Steinhauser and Stephens Principal Diane Prince. What makes a difference is Long Beach’s long history of focusing on students first, Prince said in the book.